All applicants for federal student aid are considered either "dependent" or "independent." Dependent students are required to include information about their parents on the FAFSA. If you can answer "yes" to any of the questions below, then you are considered an "independent student." Be advised, some statuses require additional documentation to support your dependency claim. A student that is unable to answer "yes" to any of the questions below but cannot provide parental information on the FAFSA can apply for a dependency override or parent refusal. Will you be working toward a master’s or doctorate degree? No; but Buffalo State must have proof you earned a bachelor's degree from an accredited institution before graduate aid can disburse to your account. Are you married or separated but not divorced? Requested on a case-by-case basis. Do you have children who receive more than half of their support from you? Requested on a case-by-case basis. Do you have dependents (other than children or a spouse) who live with you and receive more than half of their support from you? Requested on a case-by-case basis. At any time since you turned age 13, were both of your parents deceased, were you in foster care, or were you a ward or dependent of the court? Yes. You must supply legal court papers and/or death certificates to support this status. Are you an emancipated minor or are you in a legal guardianship as determined by a court? Yes. You must supply legal court papers to support this status. Note that court paperwork that shows "Legal Custody" is not adequate. NYS does not allows for emancipated minors. Are you an unaccompanied youth who is homeless or self-supporting and at risk of being homeless? Yes. You must submit proof for the current academic year from a recognized McKinney-Vento practioner or complete the Unaccompanied Homeless Youth Verification Form which will be posted to your Banner requirements once we receive your FAFSA indicating this status. Are you a veteran of the U.S. armed forces? Or, Are you currently serving on active duty in the U.S. armed forces for purposes other than training? Requested if the FAFSA cannot confirm your veteran status through the U.S. Department of Veterans Affairs. Typically a Member-4 DD-214 will be requested to prove your veteran status. Dependent students can be declared independent by the financial aid office if there are unusual or extenuating circumstances that would warrant such a change. Before the financial aid office will grant a dependency override the student must be able to provide third party testimony to justify the request for an override. This applies to federal aid eligibility only. To receive a dependency override for state aid students must contact HESC. Dependency overrides are most often granted in the case of parental abuse or abandonment where the parents can't be found or shouldn't be contacted. They are not granted simply because the student is self-supporting, the parent's do not claim the student as a dependent for income tax purposes, the parents refuse to provide information on the FAFSA or the parents refuse to contribute to the student's education. In very limited situations a student who cannot provide parental information and does not meet the criteria for a dependency override may receive Unsubsidized Federal Stafford Loan funds at dependent undergraduate levels. Talk to an aid counselor in the financial aid office to determine whether you are able to qualify for this exception. Each college has its own policies and procedures for granting dependency overrides. At Buffalo State, students requesting a dependency override need to complete the Independence Appeal Form and supply all required documentation. All decisions regarding such requests are at the discretion of the financial aid staff and cannot be appealed.  Students who have received overrides at other schools will be required to provide documentation to Buffalo State as well. In some cases, students granted dependency overrides by other schools will have their requests denied at Buffalo State. In very limited situations, a student who cannot provide parental information and does not meet the criteria for a dependency override may receive Unsubsidized Federal Direct Loan funds at dependent undergraduate levels. Speak to an aid advisor in the financial aid office to determine whether you are able to qualify for this exception. If so, a Parent Refusal Affidavit will be required.